For the last two years, Japan’s nuclear sector had been completely halted in the wake of the 2011 Fukushima meltdown. But this week, for the first time, the government is rebooting a reactor for the long term, despite public opposition. Japan pulled the plug on using nuclear energy in September 2013, using that time to reevaluate safety regulations of the country’s over 43 nuclear reactors. However, on Tuesday (Japan time), the No. 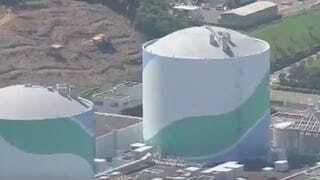 1 reactor of Kagoshima Prefecture’s Sendai plant on the country’s southern coast will start up again under more rigorous standards. It’ll gradually begin producing electricity with full operations expected to resume next month. Japan is the world’s biggest natural gas importer, second-largest coal importer, and third-largest crude oil importer. Prime Minister Shinzo Abe has pushed for reopening nuclear activity as a means to keep energy domestic and to save money. But Japan’s also come up with brilliant, new ways of harnessing alternative energy during its nuclear hiatus. It’s started putting massive solar panels on reservoirs and golf courses, for example. It’s building homes directly into mountains to tap their geothermal energy. Last month, the world’s biggest floating wind turbine was stationed 12 miles offshore from Fukushima itself. There’s no denying the power of nuclear energy—it’d take lots of wind turbines to match the output of a nuclear plant. But living in one of Earth’s most quake-prone nations with nuclear reactors peppering coastlines leaves many Japanese nervous. The Japan Times says that one survey revealed nearly 60 percent of respondents opposed continuing nuclear energy use. Whatever happens, hopefully the additional strides Japan’s been making in alternative energy tech won’t slow down with the return of nuclear reactors.